Day 1: (_/_/L) Pleiku/Kontum . Guide pick up clients at Pleiku airport, Drive to Kontum. Check in Hotel. 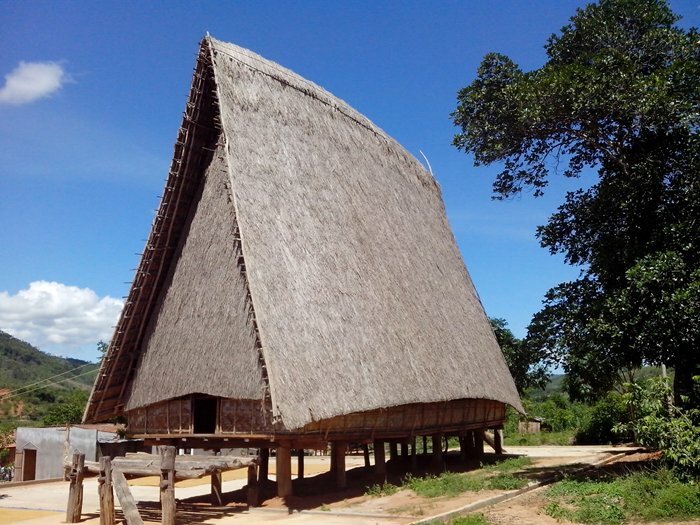 Then visit the Bahnar villages near Kontum. Overnight at Kontum. 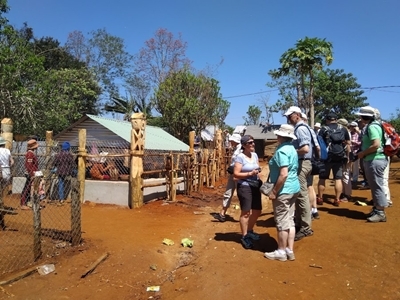 Morning: 8:30 Driving to the west of Kontum, Visit the Ja Rai ethnic village & cemetery with populations along the tomb object is created wooden. Continue driving to the lake Ya Ly (21 km) take photograph the natural landscape, returning to Kontum, lunch at a local restaurant. Afternoon: Drive into the Konkotu village to see the “Rong house” from here trekking along the riverbank (3-5 km) then go back by wooden boat to Konkotu village. Dinner and homestay at Konkotu village. Overnight in Konkotu village. Driving to Konplong (55 km) visit some villages on the road: Kon Bil village (Sodra peoples) and Kon du (Jơ lơng peoples). Continue crossing Mang Den pass to Mang Den Eco-tourism area, lunch at local restaurant. visit Pa Sy waterfalls & statues garden created by woods. 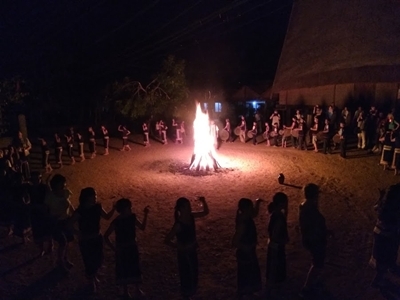 (Or visit the village Konbling (Mo Nam peoples). back to Kontum. Overnight at Kontum. Morning: Breakfast at the hotel. Departure to Hoi An (340 Km – It is takes about 7 hours driving). 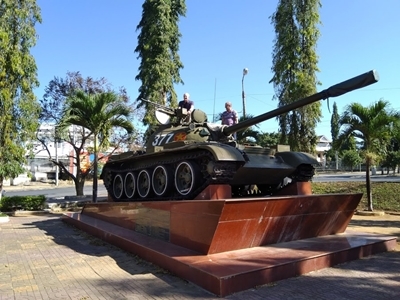 Along the road to visit victory monument Dak-Tan Canh (The tank T54 incorporation in the liberation Dakto) airstrip Phoenix & the communal house of Gie-Triêng people, Have a lunch at a local restaurant in Kham Duc. Continue to Hoi An. To Hoi An. End tour.